This Chocolate “Mock Mousse” filling is light, fluffy, and can be whipped up in minutes. 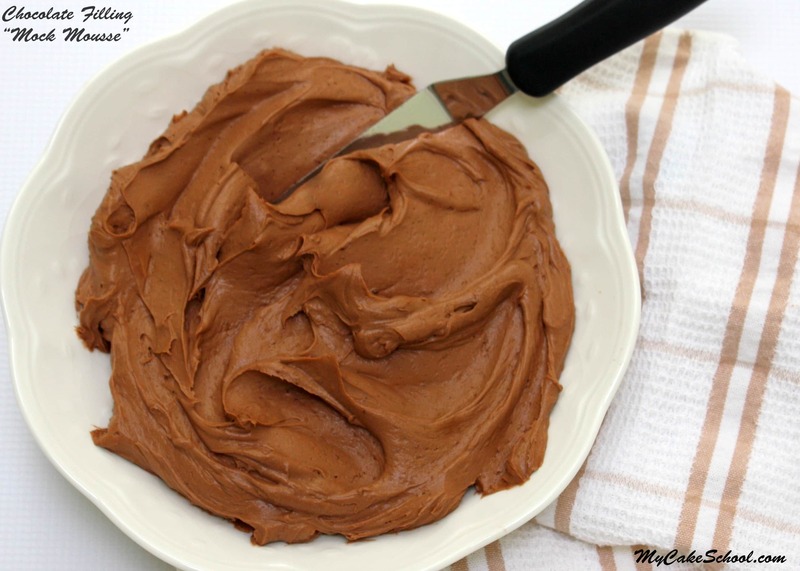 If you are looking for a quick, easy, and delicious chocolate cream filling, this is the one! We often refer to this delicious chocolate cream filling as a mock mousse because unlike a traditional mousse, this filling is made with just two ingredients: instant chocolate pudding & heavy cream. We love this as a light filling in our chocolate cakes or injected into chocolate cupcakes. I wouldn’t recommend this as a frosting, but as far as chocolate fillings go, it ranks high on my list! Combine the pudding mix and heavy cream in a mixing bowl. I prefer to mix with a hand held mixer, but a whisk is fine too. If using a mixer, start on low speed until well combined. Then, switch to high speed and whip the pudding until thick and fluffy. If mousse is too thick, mix in a bit more heavy cream until you reach the desired consistency. If mixing by hand, simply whisk rapidly for a couple of minutes or until mixture is nice and thick. Refrigerate until ready to use. For an even richer filling, hop over to our Easy Ganache Drip Recipe. This ganache is not only great for drizzling, but it can be chilled and whipped into a thick and decadent filling for your cakes and cupcakes. It’s good to have options, especially when it comes to the serious business of finding your favorite chocolate filling recipes! **We have used this Mock Mousse technique in one of our FAVORITE cake recipes: Orange Dreamsicle Cake. 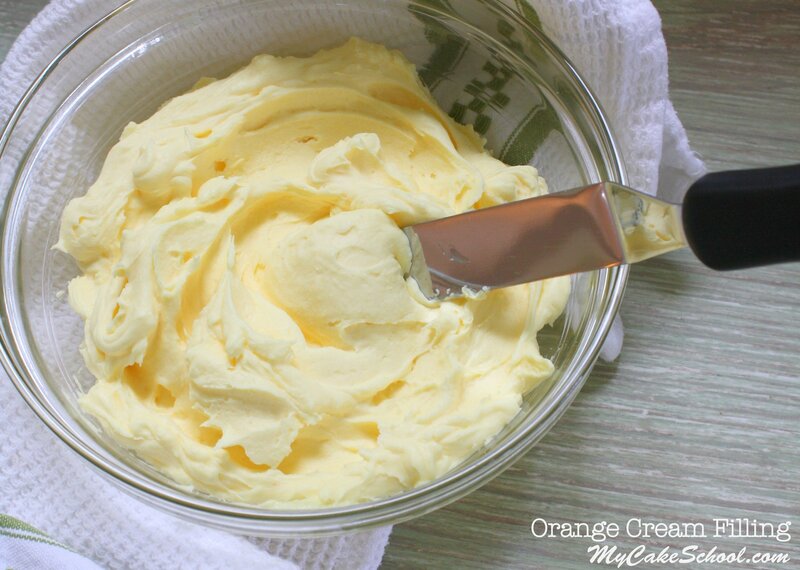 In this recipe we use a delicious Orange Cream Filling which is made from vanilla pudding, cream, and orange extract. When it comes to mock mousse fillings, the options are endless. Have fun experimenting!! Thanks for stopping by today! Don’t forget to check out our Recipes section for a full listing of our FAVORITE tried and true cake, frosting, and filling recipes! Hi Menzette, that’s a great idea! Good to know. can you use regular pudding here instead of instant? I’ve actually used this a few times as a piped frosting in cupcakes and it works REALLY well for same day use. Hi! If I had leftover filling could I freeze it for a couple of weeks? Hi Ness, We have never tried freezing the mousse. I think it would affect the consistency, just not sure how much. Hi Demi, We used Jello brand instant pudding mix ( it is not cooked pudding). You must be using a different brand since the gram weight is different from our. Our gram weight is 110g. Our recipe makes more than we need for the cake so I suggest using the directions for the amount of milk on your package of pudding. Be sure to use heavy cream instead of milk. I think you will have enough mousse even using a lower gram weight. As always, if it is too thick you can add a bit more liquid — a tablespoon at a time. Hope all goes well. Can you fill the cupcakes a couple days ahead as long as they are refrigerated? Hi Teresa, I have not tried that but I think 2 days would be the limit for best results. 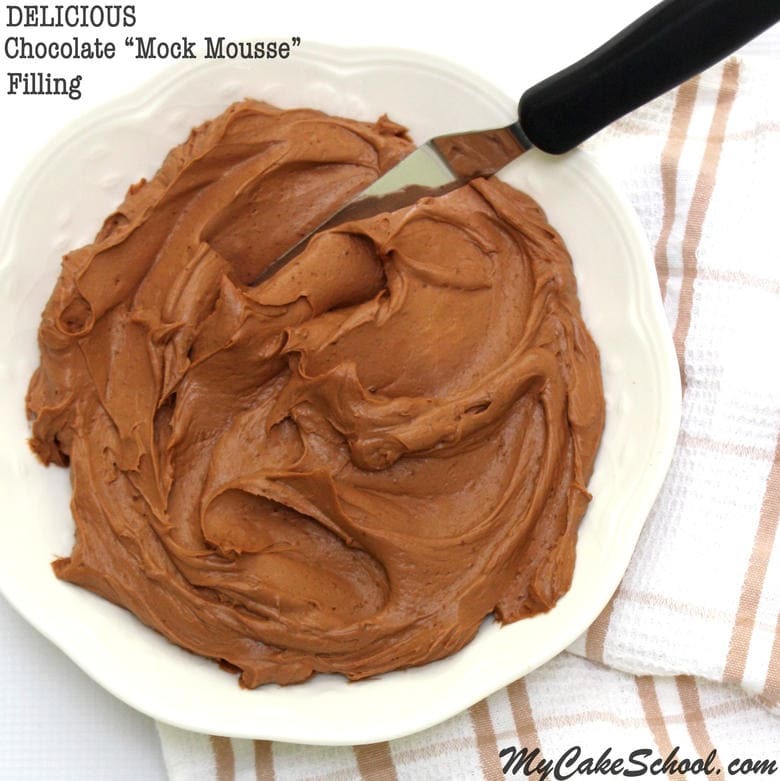 The mousse gradually deflates over time. I am wanting to make a black forest cake, would this be fine to use for the filling of the cake, the choc mousse recipe? Hi Rebecca, Yes, chocolate mousse could be used as a filling for your cake. It will not be as light as a whipped cream filling that is typically used for a black forest cake, but it will be good.